3 Bdrm Terraced Dwellhouse (End terr). Ground flr: Hall. Lounge. Bdrm. Dining kitch. Cloakrm with wc. 1st flr: 2 Bdrms. 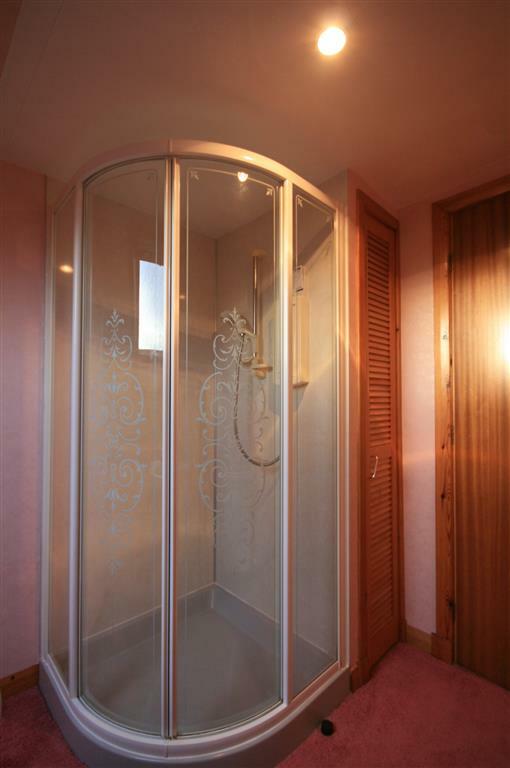 Shower rm (CT band -E). Garden. Double Garage. Parking. Price around £155,000 Entry by arr. Viewing contact solicitors. (EPC band - D). 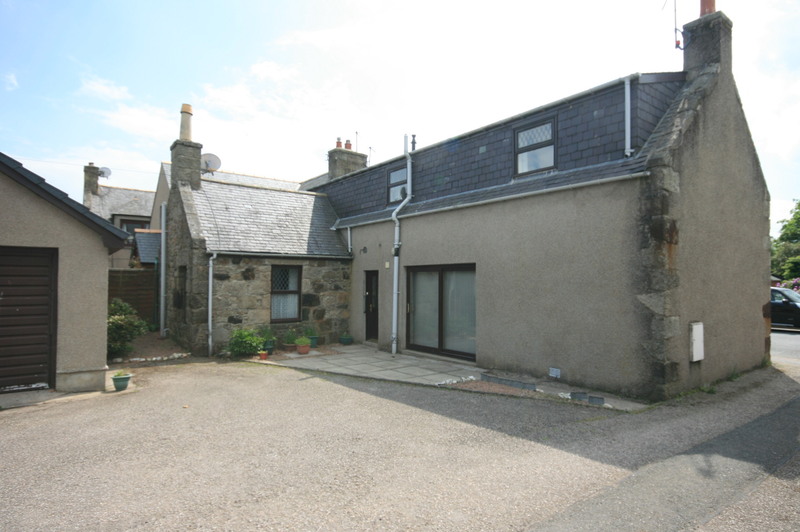 TYPE OF PROPERTY This traditional stone-built end-terraced family home comprises three good-sized bedrooms, lounge, dining kitchen and shower room and would make a comfortable family home. 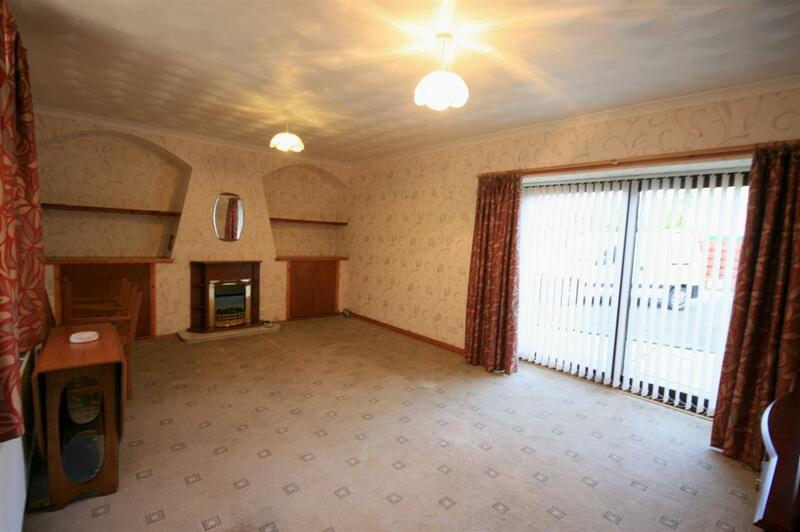 The property benefits from gas central heating and is fully double glazed throughout. There are garden areas to the side and rear of the property mainly laid out in tarred driveway with a patio area. 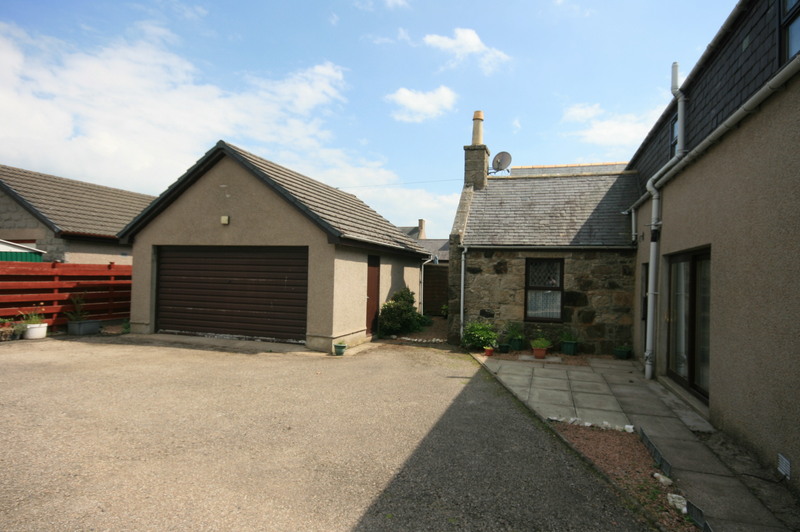 Off-street parking is provided to the rear of the property in front of the double garage. DOWNSTAIRS A UPVC door with glazed panels leads into the entrance hall. 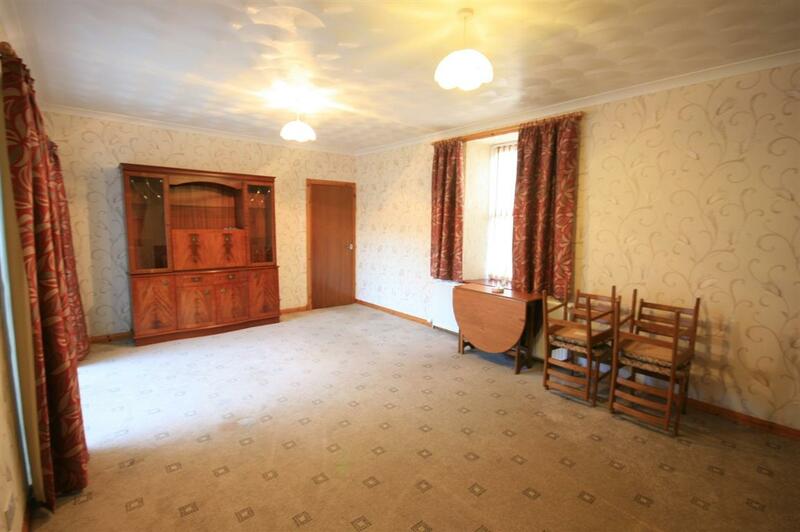 FRONT HALL With fitted carpet, matwell, ceiling light, radiator, smoke alarm and telephone point. The large wall-mounted mirror in the hallway is to remain. 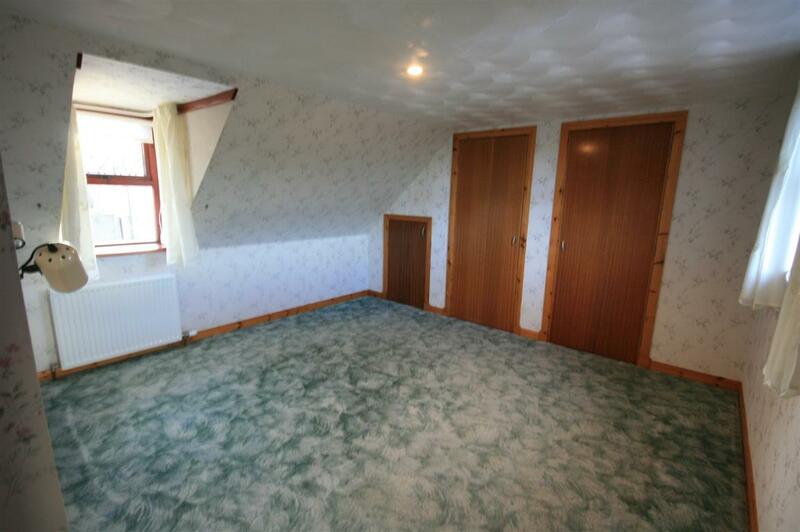 There is an open storage area which gives access to a further cupboard below the stairs. LOUNGE 6.28m x 3.84m (20’7” x 12’7”) (at widest) Spacious lounge with window to the front with vertical blinds, fitted carpet, two ceiling lights, radiator and Patio Doors with vertical blinds leading out to the patio area at the rear. The focal point of the room is the coal-effect electric fire set on a marble hearth with two shelved alcoves to either side of the fireplace, both with downlighters over, and cupboards below for storage, one of which houses the fuse box. BEDROOM 1 4.53m x 3.06m (14’10” x 10’0”) (at widest) Double bedroom with fitted carpet, window to front with vertical blinds and radiator. There are two arched alcoves, one with shelf and cupboard below housing the gas meter and one with cupboard below for storage. REAR HALL With ceiling light, fitted carpet, UPVC door with matwell leading out to the rear, and storage cupboard with shelves and coat hooks. Doors to Dining Kitchen and W.C. 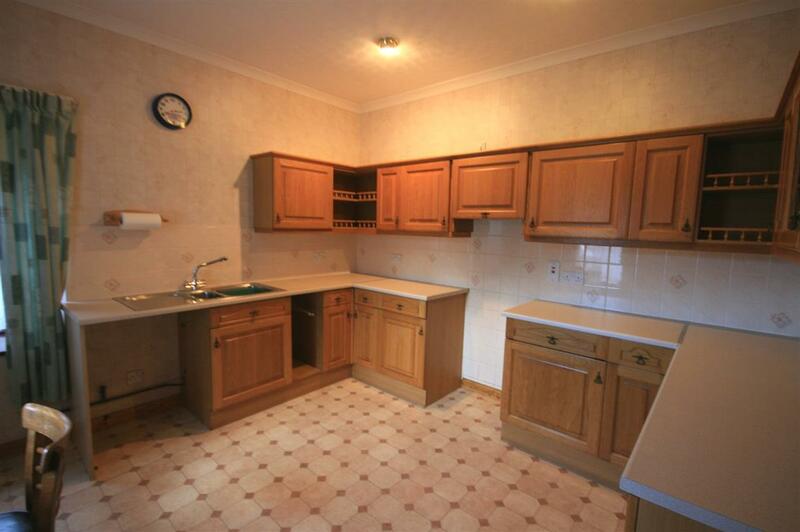 DINING KITCHEN 3.58m x 3.52m (11’9” x 11’7”) The kitchen comprises a good range of fitted base and wall units with worktop space, tiled splashback, integrated extractor fan, 1.5 bowl stainless steel sink with mixer tap and drainer, radiator and space for cooker. With vinyl flooring, three ceiling spotlights, and windows to the side and rear. W.C. 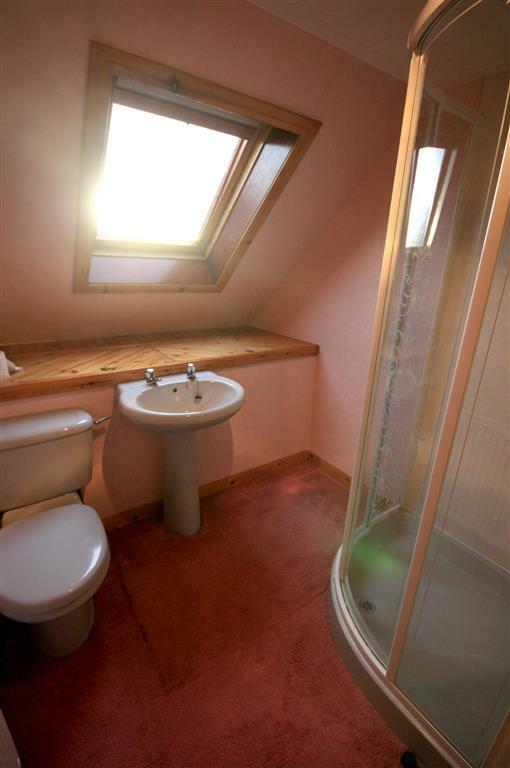 Handy downstairs toilet with W.C., wash hand basin set in vanity unit with tiled splashback, radiator, vinyl flooring, ceiling light and extractor fan. Returning to the main hall, carpeted stairs lead to the first floor with carpeted storage area at the half landing point. 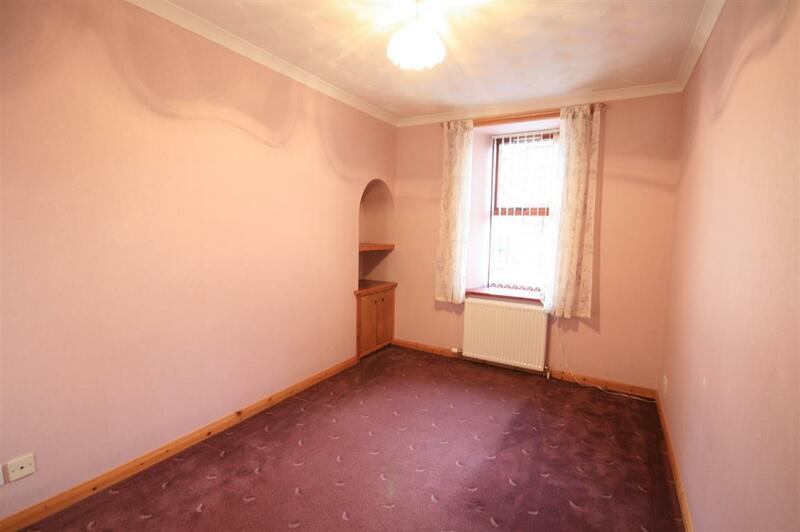 UPSTAIRS With fitted carpet, radiator, ceiling spotlight, window to the rear, and shelved cupboard for storage which houses the gas boiler. BEDROOM 2 3.94m x 3.55m (12’11” x 11’8”) (at widest) Spacious double bedroom with dual aspect windows with roller blinds to the front and rear, ceiling spotlights, two wall lights, and radiator. There are three cupboard doors providing access to the open wardrobe space with hanging rail and shelving which extends along the whole of the back wall. SHOWER ROOM 2.81m x 1.98m (9’3” x 6’6”) The bathroom comprises a two piece suite of W.C., and wash hand basin with Mira Advance Shower in corner cubicle with aqua panels. With fitted carpet, velux type window, radiator and ceiling spotlights. Located behind the toilet and wash hand basin are two built-in deep storage units which extend along the back wall. BEDROOM 3 3.94m x 3.38m (12’11” x 11’1”) Further double bedroom with window to the front with roller blind, fitted carpet, radiator, two wall spotlights and one ceiling spotlight. There are three cupboard doors providing access to the open wardrobe space with hanging rail and shelving which extends along the whole of the back wall. Further accommodation can be accessed via a small door to one wall giving access to a large attic storage area with fitted carpet and light. OUTSIDE The property is set hard to the pavement line to the front of the property. There are areas of GARDEN GROUND to the side and rear of the property mainly laid out in tarred driveway with a paved PATIO AREA and outside light. 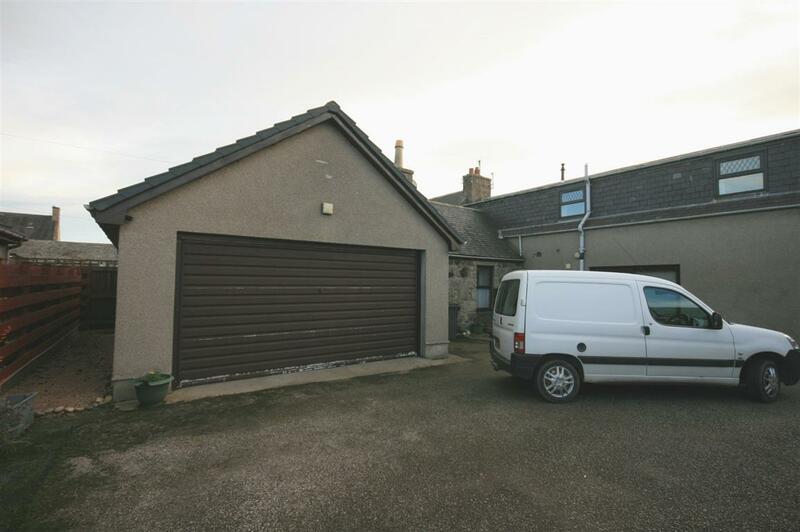 There is a DOUBLE GARAGE with up and over door, power and light and tap. SERVICES Usual mains water and drainage. Gas, electricity and telephone connections. ITEMS INCLUDED All fitted carpets and floor coverings, light fittings and the large wall-mounted mirrors in the Front Hall and Bedroom 2. The large sideboard, table and chairs, electric coal-effect fire in the lounge may be available by separate negotiation. 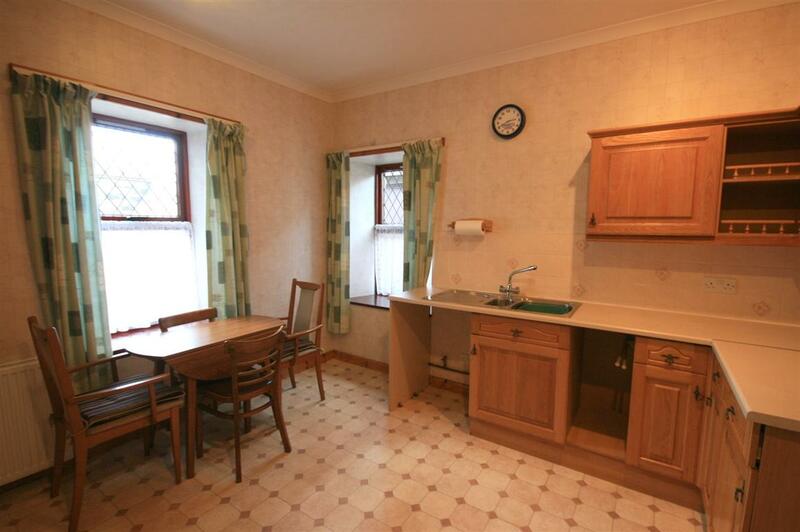 The table and chairs in the kitchen may be removed prior to sale. 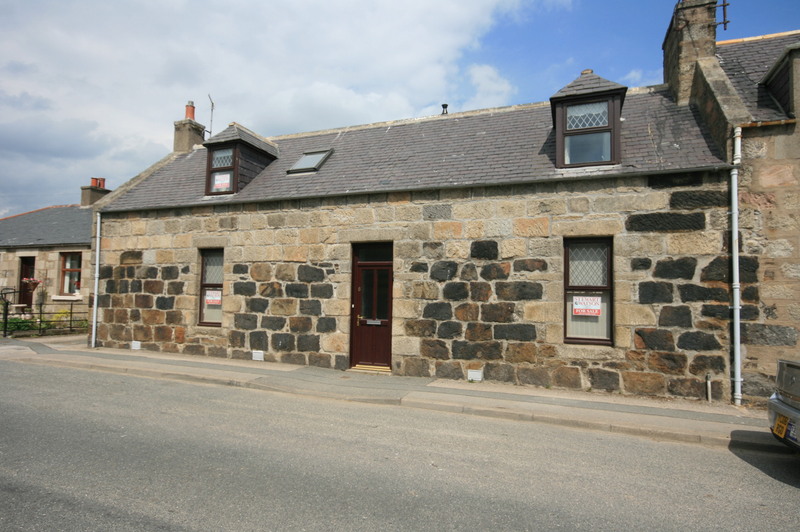 LOCATION Huntly is a market town and commercial centre situated in the heart of West Aberdeenshire on the A96 approximately 37 miles from Aberdeen. There are rail and bus links to Aberdeen, Dyce Airport and Inverness. Huntly is the home of Clan Gordon and is renowned for Huntly Castle and the Gordon Schools. It has a range of sporting facilities, including shooting, fishing and an attractive Golf Course.